​Discipling - "equipping the saints for the work of the ministry"
Available to meet privately, facilitate group personal growth or share ministry insights with your congregation. 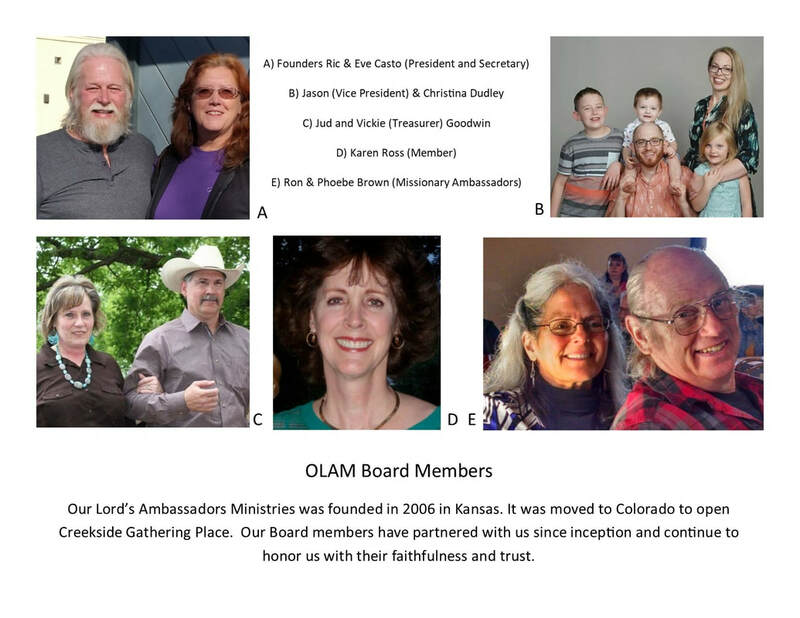 ​As ambassadors, we desire to represent and plant the culture of the Kingdom of God, not enforcing religious mandates, but empowering a relationship with our Creator and loving Father God. We want all to experience the love of papa God as He originally intended us to experience it. We believe Truth is a person, the "Word of God made flesh" namely Jesus, the son of God. Because God came to earth in a man's body, we can see God and know Him. By His Holy Spirit we can become like Him. The struggle for all of us is to live by the Spirit and not by the flesh (our own knowledge of good and evil). This affects how we see Him, ourselves and others. Only by knowing we are loved unconditionally by the One who knows us intimately can we truly be at peace with our identity and released into God's intended destiny for us. By partnering with other like-minded individuals and organizations we serve our community, meeting social and spiritual needs as a conduit of God's love and grace, revealing His true nature to the world. Love changes everything. "God is love" and His heart is overflowing with love for all of us, His children. We welcome you into the family and the power of His transforming love!